Instrument for sensing vibration enables engineers to monitor shocks, tremors and vibration around construction and demolition sites. AcSoft is now offering a Menhir ground vibration monitor from Semex-Engcon. The simple, flexible and robust ‘Modular Enhanced Intelligent Recorder’ efficiently measures vibrations, shocks and tremors generated by construction and building works, as well as mining, demolition and quarrying activities. In conjunction with SDC (Smart Data Centre) software, the web-based, high resolution Menhir system is capable of accurately recording, analysing and transferring data from complex structural and vibration monitoring and metrology applications in harsh environments. The SDC software offers a fully integrated cloud package for quick access to data and Menhir device status at any time from PC, tablet or smartphone. An optional complete analysis module is also available, allowing reports to be automatically generated and transmitted electronically in freely adjustable intervals. 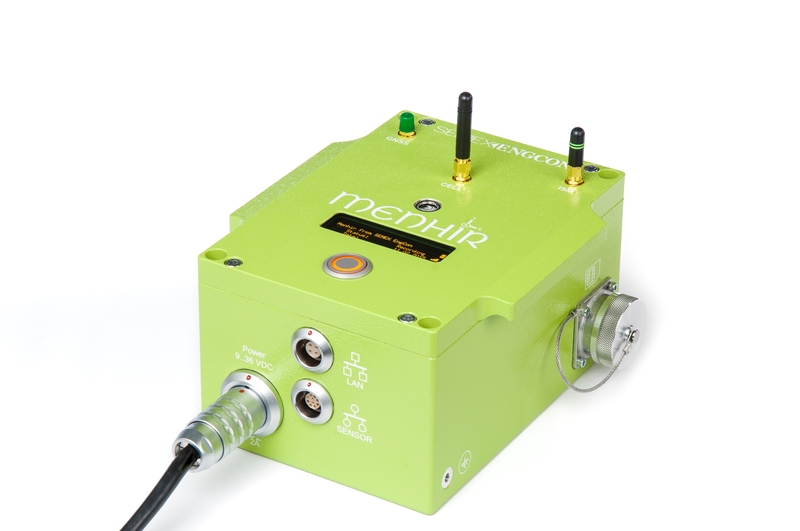 Allowing easy operation with minimal training, the intuitive Menhir can be customised to suit individual monitoring requirements and configured for immediate set up and use. A simple configuration tool means settings can be changed at any time, with quick and full access to the monitor’s parameters and values, as well as all analytical options and results. For maximum flexibility, the Menhir is available with internal and external SIM card slots. The latter enables the user to determine which provider is transmitting data, without having to open the device. The system can also be equipped with a low cost M2M solution. The Menhir offers a dynamic range > 130dB at 100 measurements per second per channel, as well as a bandwidth from 1 to 400 Hz. It incorporates a selectable alarm output to designated personnel via SMS or email.